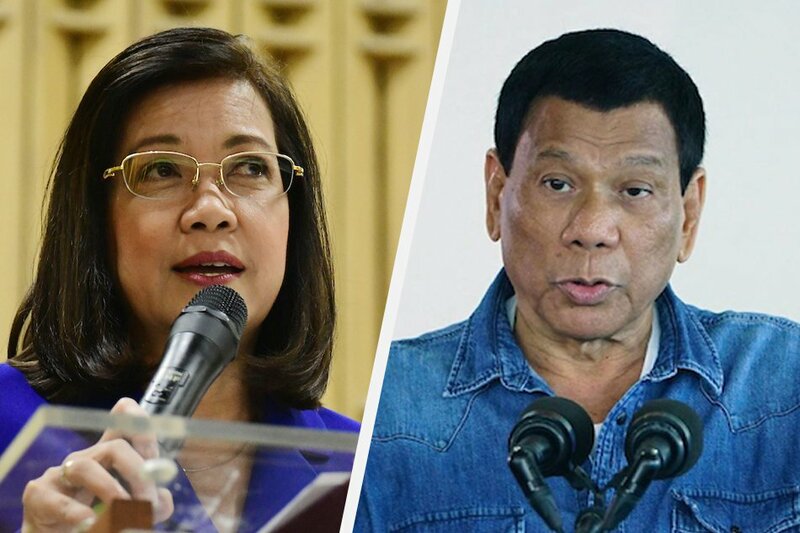 Rodrigo Duterte, the president of the Philippines, is not God, said ousted Chief Justice, Maria Lourdes Sereno. "He is not God. He is not to be worshiped as God." In a television interview, Sereno warned that the chief executive is being given so much power and raised possibilities of her death, in criticism of Duterte who she said she believed was one of the moving power why she was removed from office. She emphasized that the people are giving too much power to the president. "Alam mo ang possibility d'yan [ay] civil war. Or, gagawa ng batas, he will say, 'eto lang ang ang pwedeng successor ko,' without consulting anybody. That's dangerous. So these are not just simple questions. We as a people have to discuss this one by one," she said. She said that the people should be careful when they "trust him (Duterte) with the power to reorganize all government.."
Duterte is promoting a federal type of government and drafting a new constitution. She said, "He does not have the exclusivity of wisdom God has designed us as a Filipino nation to be participative in determining what the direction our country would take." Asked if she was to pursue a political career, the once head of the judiciary said, "I'm weighing things."